WPS has been a reliable partner in horticulture for years. Located in Westland, we are in the middle of the horticultural hot spot of the Netherlands. The technology and automation solutions we have developed for the cultivation of pot plants can also be applied for growing cannabis. 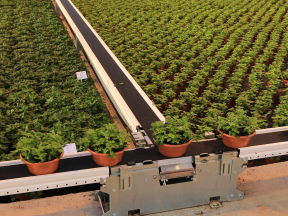 Thanks to conveyor belts and internal logistics solutions, you can make the production of cannabis more efficient, cheaper and transparent. 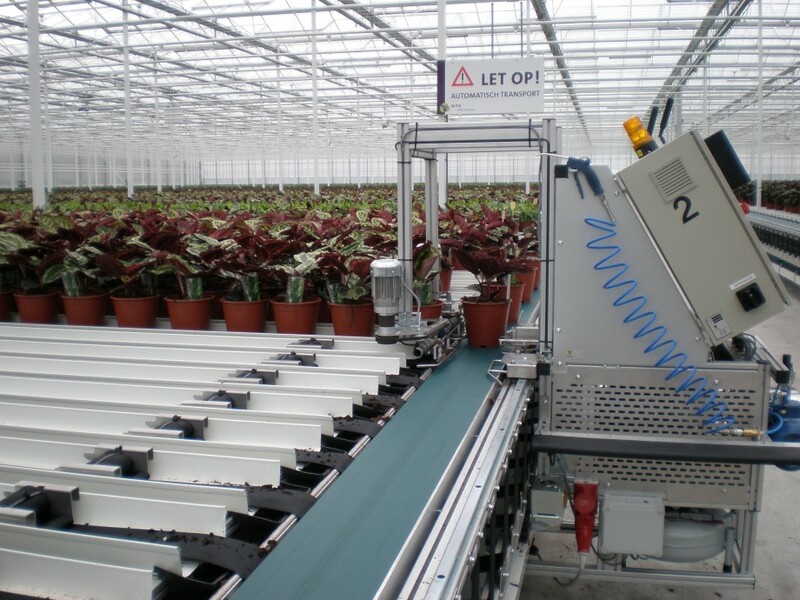 Hard labor like moving pots and plants are automated with leaves you with happy and healthy workers. How efficiently have you set up your greenhouse? With the WPS solutions you can win extra growing space. And that means more plants per square meter and more profits. The goal of growing cannabis is to prepare all the products for extraction as quickly and efficiently as possible. The SmartFlo conveyor belts eliminate unnecessary human movements and reduce time spent on mundane tasks. A 5-minute walk across the greenhouse and another 5-minute walk back adds up, and that is a poor utilization of time and resources. Conveyor belts move product more efficiently than humans. The SmartFlo conveyor system can also be delivered as a mobile transporting system, which gives you the flexibility you perhaps need. 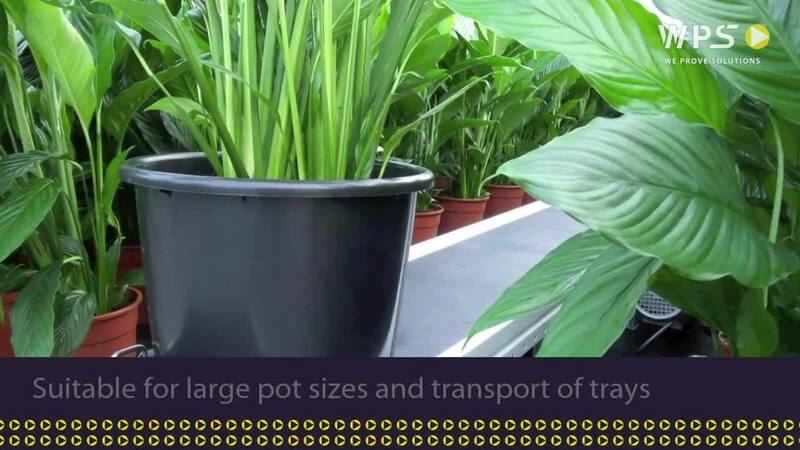 It helps you to cultivate cannabis plants,spacing them and transporting them. 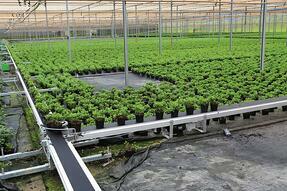 The wide conveyor belt is suitable for transporting large pots and trays.